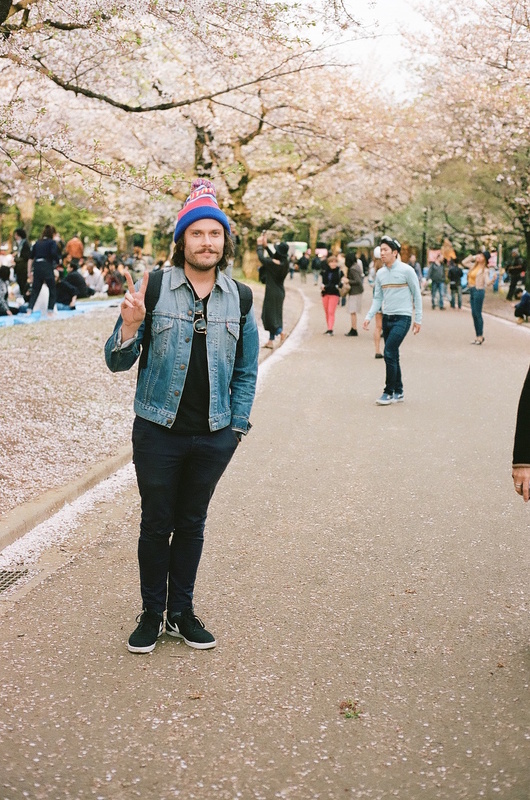 A few snaps from our mini Hanami in Tokyo on film. 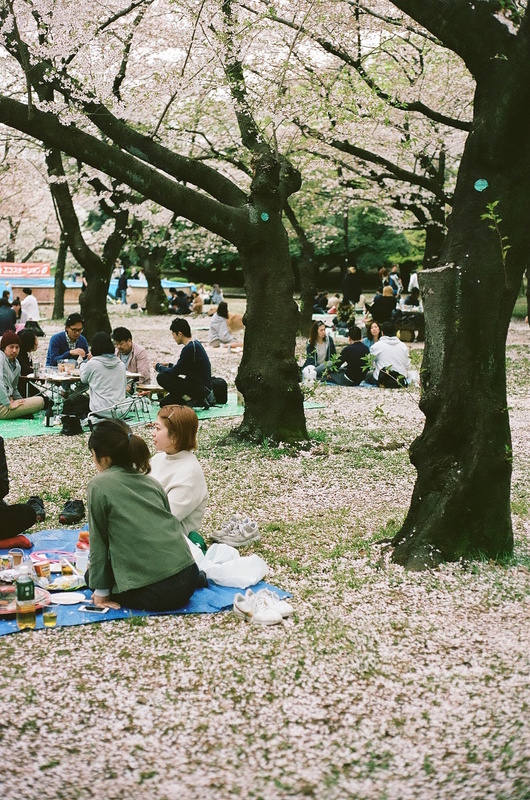 Knowing we were meeting friends over the weekend for a proper Japanese Hanami (cherry blossom viewing party), we kept things pretty low key with a few snacks from the conbini and a tarp bought from the 100 yen store and joined the sea of people who had come together to share some food and sake under skies of cherry blossoms for the afternoon. 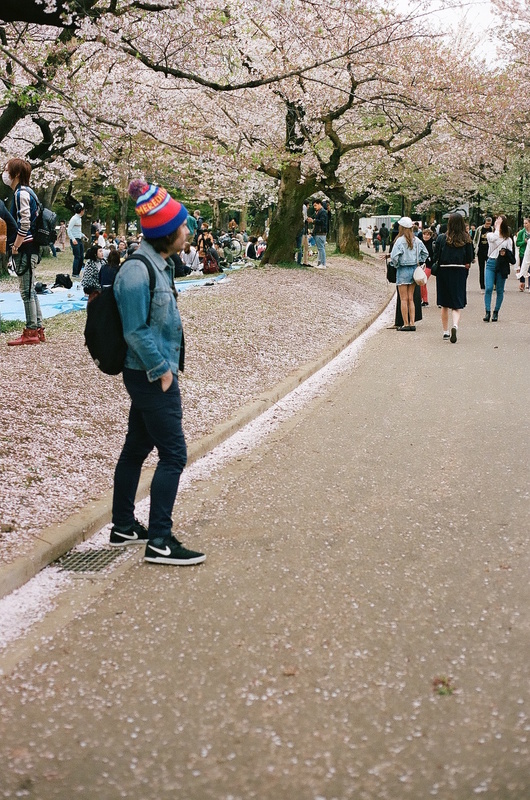 On a Thursday afternoon we sat surrounded by groups of businessmen, families, school girls and friends who would all join together to cheer every time a big gust of wind caused the petals to fall off the trees, fly through the air like pink snowflakes and completely cover the ground.